IF SOMETHING YOU READ DOESN'T SOUND RIGHT, I RESERVE THE RIGHT TO PLEAD INSANITY! Or I've already taken my Ambien. Check out my 100 things for some quick facts about me & my crew! Look who's checking out my blog! If you're offended, there is only one answer: get over it! The Semi-Slacker home renovations are underway. One of the projects on Kenny & Shawn's To Do List includes turning the bonus room into a "mini man room" for Bo. Seriously, how many 4 year olds do you know with a recliner & a futon in their room? And let me just tell you, futons aren't what they used to be. CSNFutons has the cutest stuff! They carry everything from traditional to modern, wood to metal, chairs, covers, bean bags & the cutest kid's furniture ever! I have already picked out something for the girls. Parent company, CSNStores would like to offer one of my lovely readers the cutest Teak Woodstock Love Seat ever! Perfect for outdoor summer entertaining! This classic adirondack love seat was designed for comfort and built to last. This is the traditional design that will allow to seat two persons. Made to last with sturdy Meranti wood, you will ensure to have a long lasting love seat. 1-check out all the cool futons & tell me what you like. 2-follow me! If you already follow let me know. 4-post a link on your sidebar. 5-comment on a previous post & tell me which one. A winner will be chosen by random on Monday, July 20th. Good luck! Opps, love all the cool futons. You are right, they have come a long way. Love those futon chairs. I especially loved the fat boy jr bean bags, the kids would go crazy for one of those. Just now catching up after a down laptop and horrible internet problems. Just left a comment on Only the semi slackers. The futon chairs are awesome! What cool ideas they have there. I am going back to check out more. Awesome giveaway! And I am following you!! Fabulous giveaway, and I'm a follower! From the website - I love the Extra Large Fuf Chair - always wanted one! And I've commented on several previous posts! I believe you are reading my mind! I am in search of the perfect seat for my patio... and then low and behold here's this giveaway!!!! Thank you kindly for this giveaway! of course i'm a follower too! i love your blog and post on it often.. but recently i gave my $.02 on your "decorating ideas" post! I'm digging the August Lotz style of futons but I LOVE the love seat you're giving away! I'm a follower, and I just commented on your most recent Friday Fragments post. I like the Elite-Florenzia Futon best. I like the curved dark wood! Great post - we're currently looking for a futon for our two-year old's playroom in our new house (so if you think you're bad for putting one in a 4-year old's room - no worries, I've got you beat!). I'm a traditionalist in furniture, so I like the August Lotz-Madison Solid Maple futon. But I love adirondacks too, they are so classy! 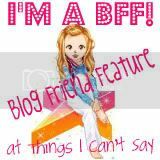 I'm a follower and will blog, sidebar, plus I've posted on lots of your prior blogs! WOW...what a fantastic giveaway and I so want to win this. We just moved to a new house three weeks ago and have no furniture for the area by the pool or the front porch. This would be perfect. 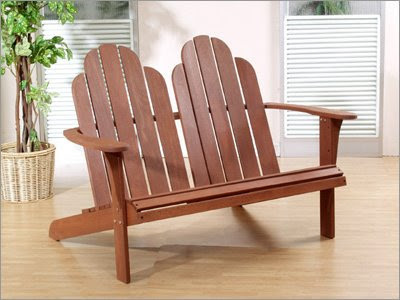 I love adirondack chairs and then mixing it up with the loveseat is perfect. I checked out that website-who knew that loveseats were so trendy and stylish these days. I love the ORE Leather Futon Sofa Bed. It is so different, modern, unique, and PRACTICAL. What a great site! Thanks again for hosting this giveaway! Have a great day! Oh SO cool, I love the LifeStyle Solutions - Sorrento Khaki Casual Convertible, how gorgeous is that?! Very modern! Thanks for the chance! What an amazing giveaway! I love the August Lotz - Michigan Avenue Solid Maple Futon. I'm liking the Elite - Florenzia Futon. I'm already a follower. I love checking in on your going-ons. You can be sure I'm putting this on my blog right now. Posted on "Only the Semi-Slackers." I like the wooden frame futons. We have one in our basement that comes in handy for sleepovers. I like the mattresses that have springs--we don't have that and so it gets kinda hard after a while. I blogged about this giveaway. We like futons. That chair would go great in our backyard space. We follow yor blog. The Serta Futons - Nadine Serta Dream Convertible is very nice! Wow that is a lot of Futons!@! I am a google follower! I like the August Lotz - Madison Solid Maple Futon. Thanks for the chance at this awesome giveaway. I think the LifeStyle Solutions - Capitola Casual Convertible is adorable!! I like the Madison Solid Maple Futon! I like the Night & Day - Standard Kingston Futon Frame, it looks really sleek. Thanks for the chance! http://www.csnfutons.com/August-Lotz-MONFCFR-AU1321.html I love this futon chair. You are in my blogroll. The Madison Solid Maple Futon looks really comfortable! I'd love to be entered. Oh yes I LOVE that one! I am a loyal follower and I know that I've commented-I just don't know where-I did comment on the POST Giveaway blog. thanks so much, my backyard would love a double seater, maybe then hubby will sit w/ me. We need a futon cover in the worst way! Wish I could buy The Lexi contemporary design-it's beautiful! The dream convertible futon is cool to me. And I already follow you! That is the cutest thing ever!!! I really like the bean bag chairs too! My kids would LOVE those! I love all the futons! Ican't believe I missed the giveaway! Sassy's not the only one!